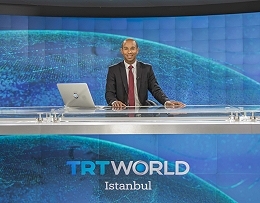 Globecast used by TRT World to expand its international reach. Paris, January 2017: TRT has announced that it has signed a new agreement to launch its international news platform TRT World on 10 additional satellites and expand its reach and viewership. This multi-year agreement was signed with Globecast, the global solutions provider for media, and Turksat, Turkey's first and unique satellite operator. TRT WORLD will be able to be viewed all over the world in new territories (190 countries in total) via TURKSAT and 10 additional major broadcast satellites operating across Europe, Middle East, Asia Pacific, Africa, Australia and America. This expanded reach has already begun and will be completed in the coming months. As a strategic partner to TRT World, Turksat has been working extensively with Globecast to provide the technical broadcast solutions needed to achieve this expanded global delivery. Globecast is providing worldwide connectivity and uplink distribution services using its unique reach to access the 10 satellites.